As someone who travels 16 weeks out of the year, I definitely burn through my share of bags. Our luggage and travel backpacks get almost constant use, so we’re pretty hard on them. To top it off, some of the items we’ve purchased just aren’t made very well. Fortunately, we’ve had a really positive experience with several carry-on travel backpacks. Ultimately, that’s why we decided to review the best travel backpacks available today. By considering the bags on our list and hearing about our experience with them, you can (hopefully) find the best bag for you and avoid paying for a bag that doesn’t meet your needs. Whether it’s a cheap vacation spot or hauling the family halfway across the world, my husband and I try to avoid checking luggage whenever possible. 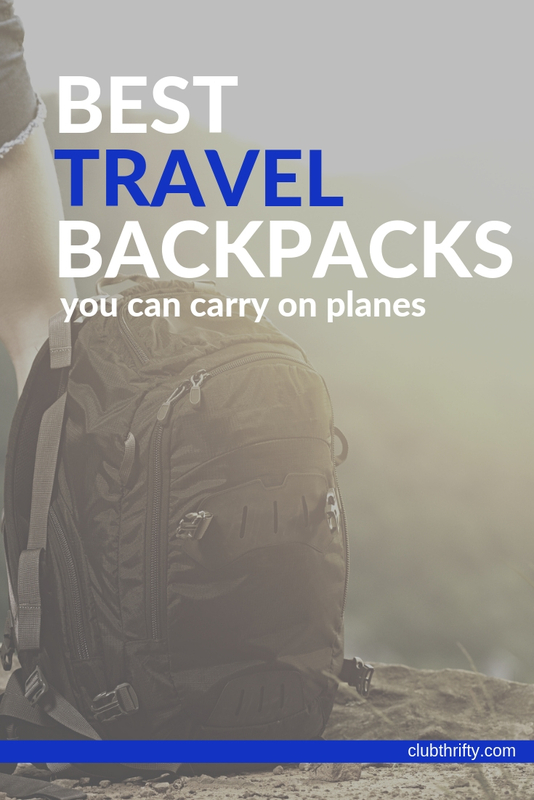 This typically means packing a carry-on bag to the gills and carrying a travel backpack with all the essentials. If you’re someone who likes to work when you travel or a person with a lot of gadgets, your travel backpack may also need room to safely carry a laptop computer or a tablet. Personally, I also like having an expandable backpack that can carry more when I need it to without being overly bulky. Cost: We only reviewed travel backpacks that cost $150 or less. In my opinion, anything more than that is way too much to pay for a backpack that will be used heavily and potentially mistreated on planes, trains, and automobiles. Availability: We only considered travel backpacks you can purchase on Amazon.com. Of course, preference was given to backpacks that offer free delivery with Amazon Prime. Reviews: We considered the overall reviews posted for each travel backpack on this list. If multiple reviewers had the same positive or negative comments, we took them into account. 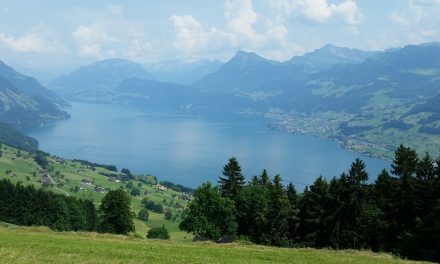 Purpose: Some travel backpacks are best for hiking and active travel while others are better for business travelers who have a lot of expensive items to protect. We gave preference to travel backpacks that can work well in either situation. While there are a ton of backpacks for travel on the market today, we only listed ones we’ve tried out ourselves. These carry-on backpacks have managed to hold up under considerable stress, and they tend to offer features and amenities we found helpful and convenient. 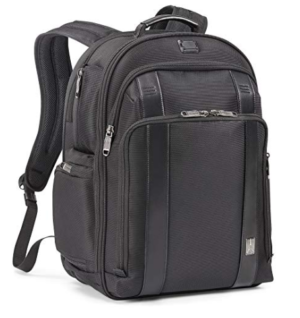 The Travelpro Crew Executive Choice 2 Check Point Friendly Laptop Backpack, 17-in with USB port snagged the top spot on this list because this is the bag I bring everywhere. I’ve had it several years, and it has probably traveled to 30 or 40 countries during that time. This backpack has been on planes, trains, and automobiles, but it is still in great shape. I’ve even washed it in the washer before (because I’m OCD like that). Seriously y’all, this backpack is the real deal! 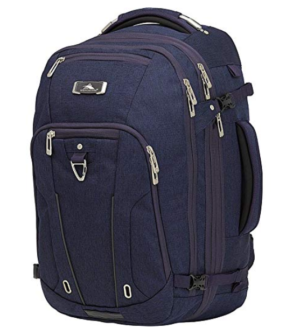 While some backpacks don’t hold their shape when they’re not in use, the Travelpro Crew Executive Choice 2 has a frame that keeps its shape no matter what. My favorite thing about it is that there is plenty of room for a large laptop and several chargers. I also love all the various pockets you can find on the front exterior of the pack as well as the inside. Personally, I believe this backpack is ideal for people who always travel with a laptop. It also provides a safe space to secure tablets so they won’t break. The Travelpro Crew Executive Choice 2 also offers a ton of room for clothing, accessories, and anything else you need to pack for your trip. It’s roomy yet it still fits well under the seat of an airplane. This laptop has large compartments for a 17-inch laptop and chargers along with room for everything else you need. This laptop holds its shape, so your items won’t be crushed if it ends up under a large bag. Some people might think it’s slightly bulky. Since this backpack holds its shape, it can’t be folded up or stuffed in a small space. This is the most expensive backpack on our list. Anyone who has a precious laptop they want to protect. People who don’t mind paying more for long-lasting quality. Travelers who want a lot of pockets to store small items. Move over, basic briefcase! The Bopai Business Backpack offers the functionality of a business briefcase without making you look like you’re stuck in 1964. I really like the Bopai Business Backpack because it has an extremely sleek look that makes it appear more professional than many competing bags. The Bopai Business Backpack has room for a 15.6-inch laptop, and it comes with a USB charging port that is perfect for the busy professional. 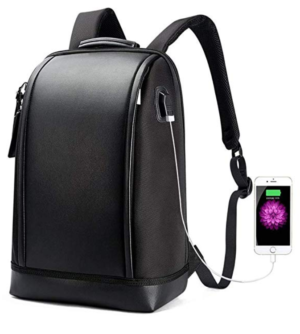 This backpack is also water resistant, and its lack of outer pockets and compartments makes it less prevalent to theft and tampering. A lot of people who have left reviews for this bag have commented on how roomy it is despite its compact, sleek look. I personally found it had room for my computer and all my other electronics. I also love the hidden water bottle compartment! This bag has a smart, sleek look that makes it a smart option for business travelers. It’s waterproof and it comes with anti-theft measures that make it difficult to tamper with. While this bag has an upscale look, it’s still under $100. The laptop compartment is only for screens up to 15.6 inches, so it won’t work for people with big laptop computers. There are fewer compartments overall when compared to some other backpacks on our list. This backpack is on the smaller side, so it may not hold as much as some larger packs would. Business travelers who travel with a laptop and some basics. Anyone who wants a backpack with a sleek look and few outer pockets. People who want a basic black backpack without any logos. If you’re looking for a travel bag that won’t cost an arm and a leg, it would be difficult to do better than this travel backpack by Matein. Since it rings in at less than $30, this pack is easily the lowest priced item on our list. 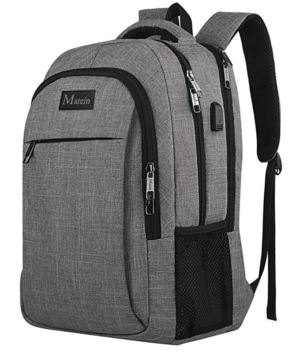 However, the travel backpack by Matein still offers many of the perks of the more expensive packs. It has a USB charging port and it’s also water resistant, for example. While this travel backpack is on the basic side, it offers many small compartments to hold items ranging from your laptop to your passport. There are pockets for phones, pens, and keys along with a large inner compartment that can hold just about anything else you bring on your trip. I also love the luggage strap that lets you connect this bag to your carry-on luggage for easy transfers around the airport (in situations where you don’t want to carry your backpack on your back). This backpack is less than $30 and it qualifies for Amazon Prime! While the pack is rather sturdy, it’s made of lightweight fabric that makes it easy to carry. Despite its low price, you still get a USB charging port and plenty of storage for a laptop and other supplies. The laptop compartment is only for a 15.6 inch screen, so you may not be able to use it if you have a larger computer. It’s made of lightweight fabric that may not last as long as some other bags. Some people in the reviews have complained that the backpack lacks appropriate padding, especially on the bottom. 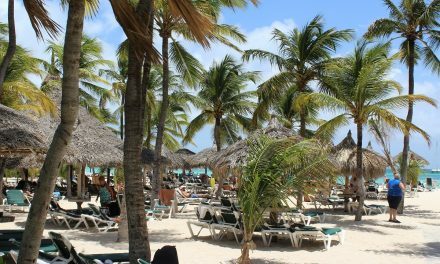 Budget travelers who need a cheap option. Anyone who has a smaller laptop and needs basic storage when they travel. 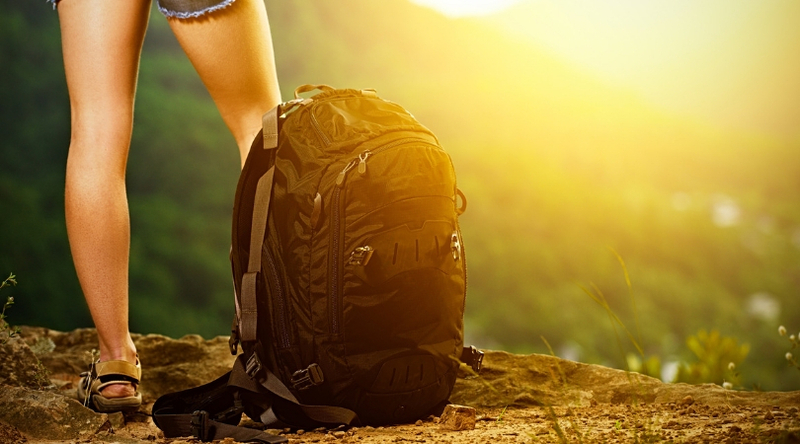 Business or student travelers who don’t plan to use their backpack for hiking and other outdoor activities. 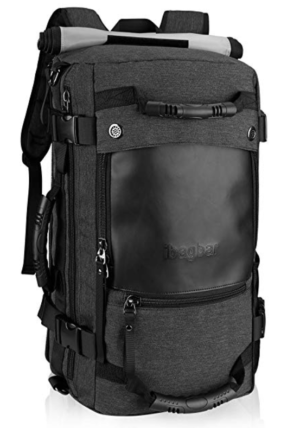 If you need a backpack for hiking that can be used in multiple ways, look no further than the Ibagbar Canvas Backpack. This pack has a ton of functionality for active travelers who hike, camp, fish, and spend a lot of time outdoors. Thankfully, it has a somewhat professional look as well. This bag also has room for a 17-inch laptop, which is why it beat out several other “hiking style” backpacks for a spot on this list. The Ibagbar Canvas Backpack comes with a main interior compartment, three main exterior zipper pockets, a side mesh pocket, and a large padded space for a laptop or multiple tablets. You can wear it as a backpack while you hike or travel, but you can also tuck away its straps and carry it as a satchel. My favorite part about this bag is the fact that, even though it is a “hiking-style” backpack, it doesn’t look like one. You could bring this bag along on a hiking trip for sure, but you could also use it for a business trip or a weekend getaway with friends. That makes it more versatile than many of its competitors, which makes it a better value overall. I also like the multiple color schemes you can order this bag in, particularly the brown and black look. This bag has a versatile look that makes it perfect for any type of trip. Its huge capacity that lets you carry a lot of weight on your back. The padded compartment in this bag fits up to a 17-inch laptop. This bag is inexpensive and it qualifies for Amazon Prime! This bag doesn’t offer a USB charting port or many other features. While it’s versatile, it may not be acceptable for someone who travels solely for business. Some people in the reviews complain about the height of the bag and how it may not be suitable for short people. Anyone who needs a hiking backpack that also holds a laptop. People who want an active outdoor bag that doesn’t look overly sporty. Anyone who wants to spend less than $50. Sometimes you need a backpack and other times what you really need is a duffel. But, what if you could buy one bag that could do both? The High Sierra Convertible Duffel is a versatile backpack that can be anything you want it to be. You can change it into a duffel bag or carry it like a satchel. And unlike other backpacks that only offer a main zipper on top, this bag offers a side zipper option that makes it function like a carry-on bag in a pinch. The High Sierra Convertible Duffel made our list for a few reasons, including its versatility. We love the fact that this bag comes with a padded laptop compartment that holds a computer with up to a 15.6-inch screen. There are also a ton of interior compartments to store everything from your passport to toiletries; there’s even a separate interior mesh pocket perfect for separating items or storing dirty clothes. Overall, this bag is a winner because it can be used in so many ways. You can use it as a backpack if you want, but it also becomes a carry-on in a pinch. For people with varying luggage needs, that makes this travel backpack hard to beat. This bag can be a backpack, a duffel, a satchel, or a traditional carry-on. It’s less than $80, and it qualifies for Amazon Prime. You have room for a laptop or large tablet, and there are numerous interior pockets you can use to store and separate important items. This bag has a “sporty” look, meaning it may not work if you need a travel backpack purely for business use. Several consumers in the complaints said the bag is uncomfortable to carry. This isn’t the cheapest bag on our list. Frequent travelers whose luggage needs change all the time. Anyone who wants a backpack that can be carried more than one way. People who want a large bag with plenty of space. Before you plan your next vacation, make sure you have a backpack that is both functional and affordable. The travel backpacks on this list are all good options since they’ve been vetted by yours truly and get positive reviews overall. We hope this list helps you find a travel backpack that suits your needs and stays within your budget. If you’ve tried any of the bags on this list, let us know in the comments! What is your favorite travel backpack? Why?